Not too long ago, Eric J. signed up for Thawte’s Personal E-mail Certificates service. While reviewing the various account settings, he noticed something odd. One of his “Lost Password” security questions read What was your alarm code to the Lindsay Bar in Trinity 1999? Seeing that Eric didn’t have a house alarm in 1999 and, in fact, didn’t even know where Trinity was (let alone the Lindsay Bar), Eric was pretty sure that it was some kind of mix-up. 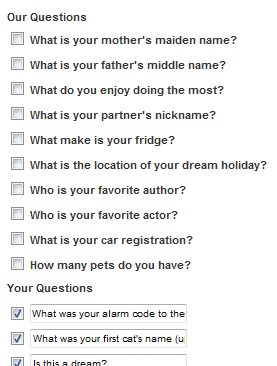 He changed the security question back to What was your alarm code? and hit submit. No dice. When the page reloaded, it added the Lindsay Bar right back in the question. A bit concerned at that point, Eric tried another question: What was your first cat’s name? 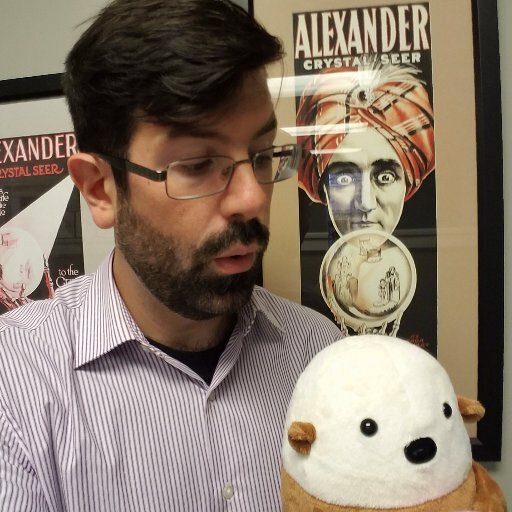 Upon submitting the page, Thawte decided that he would rather have the question be What was your first cat’s name (uppercase), despite the fact that he had typed “fur ball” in lowercase. And it also insisted that the question have a space between the word “cat” and the question mark. It didn’t take Eric too long to realize what was happening. For some bizarre reason, Thawte was completing his questions by using other user’s questions. When he typed in simply What was, it shot back What was Seti 1 . Typing in What did returned What did I find on Romsley hill? Who know reading other people’s secret questions could be such fun? Thankfully, this doesn’t work on the answers. As for why Thawte chose to implement shared questions in this manner... I’ll leave that as an exercise in speculation for the reader. I know the number of people born in 1907 who need their service is small, but then just supply a pulldown box or something? An error occurred while we were processing your form. Usually this means that one of the values you submitted in your form was invalid, or you did not put a value in a required field. Please check the error message below, and then review your submission. Year must be after 1910. I think we'll be able to find more. Q: What's the difference between a duck? A: One of it's legs is both the same.